What is Competitive Intelligence in B2B firms? Continuing on the theme of my last blog about the use of competitive intelligence in business-to-business (B2) firms, I want to add additional observation. That deals with the subject of benchmarking, more specifically competitive benchmarking. Benchmarking, as it grew during the 1990s, was conceived as a business-to-business aide where firms measured their processes against best in class and eventually against best practice firms in any industry. The goal was to improve operations. During the growth of benchmarking, Carolyn Vella, I, and others advocated a new type of benchmarking, competitive (or competitor) benchmarking. To us, competitive benchmarking consisted of using the traditional benchmarking tools, but also using CI to develop the data on the processes to be evaluated. In other words, research by an in-house competitive intelligence unit substituted for direct contact with competitors about processes and activities. What I found in the last year or so is that this process has been turned almost on its head. I increasingly find B2B firms that are engaged in competitive benchmarking, but do not realize that the data collection and analysis processes that they use to conduct that benchmarking is actually a kind of CI. To put it bluntly, they have backed into CI, through the desire to benchmark competitors, but without realizing it. “Good heavens! For more than forty years I have been speaking prose without knowing it.” Moliere, Le Bourgeois Gentilhomme. I find it extremely interesting. This means that many B2B firms erroneously believe they’re not doing any CI. But their employees, tasked with testing their manufacturing, or logistic, or other processes against the competitors, are actually engaged in some CI. Hopefully they will extend that skill to other areas, whether or not they properly label it as CI. 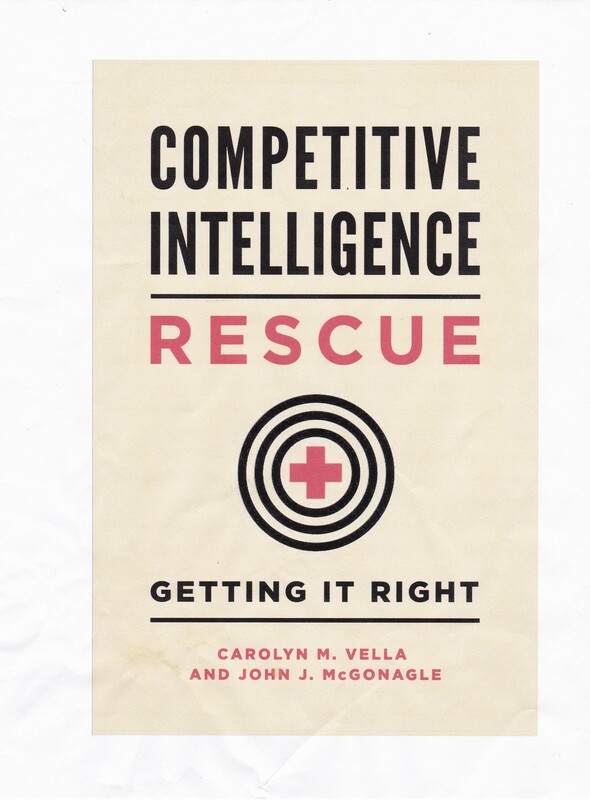 See, e.g., John J. McGonagle, Jr. and Carolyn M. Vella, OUTSMARTING THE COMPETITION: Practical Approaches to Finding and Using Competitive Information, 1990 (Sourcebooks Inc.); John J. McGonagle, “Benchmarking and competitive intelligence”, Journal for Quality and Participation, September 1992; John McGonagle and Denise Fleming, “New Options In Benchmarking”, Journal for Quality and Participation, July/August 1993.